Announced today, the season finale for Game of Thrones from Telltale Games is set to launch across all platform next Tuesday, November 17. 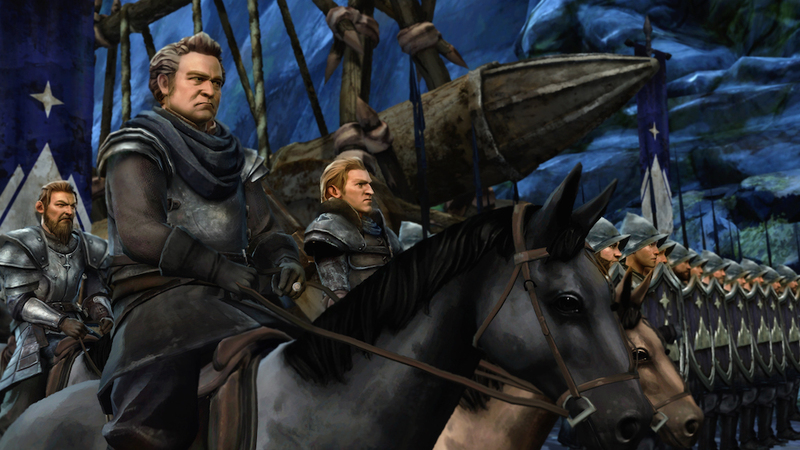 This will be the sixth episode of the game’s life cycle, and unless Telltale and HBO decide to push forward due to popularity, it may be the last time we hear from House Forrester. As for what is happening in this series of games, House Forrester is caught in the middle The War of the Five Kings, which leads our playable characters to do everything in their power to keep outside forces from bringing doom to their family and land. Throughout the series, many of the TV show’s most popular characters make appearances, such as a few Lannisters, Boltons, and even Jon Snow. Here is the only description Telltale provides for the finale, which is sure to be very epic. I mean, it is Game of Thrones, right? If you still have not played any of this series, you should check it out. It’s definitely worth the time, if you are a fan of GoT.